Published: Dec. 3, 2017 at 02:09 p.m. Published: Nov. 13, 2017 at 09:56 p.m. 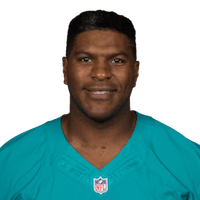 Published: Aug. 24, 2017 at 08:15 p.m.
Miami Dolphins quarterback Jay Cutler finds tight end Julius Thomas for a 1-yard touchdown during Week 3 of the preseason.